28-30 November 2018. Bangkok, Thailand. The IFPRI-FAO Global Event: Accelerating the end of hunger. 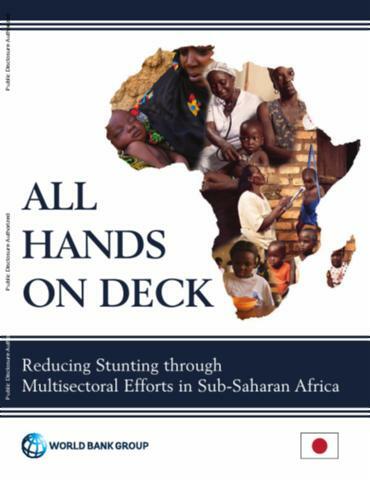 The report “All Hands on Deck: Reducing Stunting through Multisectoral Efforts in Sub-Saharan Africa” lays the groundwork for more effective multisectoral action on reducing stunting by analyzing and generating empirical evidence useful for informing the joint targeting and, if necessary, the sequencing of sector-specific interventions in countries in SSA.